Many thanks for your photo of the fitted carpets. What a great result! I can't thank you and your company enough for the very good service I have received! Many thanks and good wishes to you and your company. The carpets for my Morris 8 Series E have just arrived. Really quick! They are awesome and the colour will beautifully match the colour(s) I have chosen for the car. (Black guards and a mustardy yellow body) Thank you so much for such an excellent product and the superb friendly service. Thank you for your excellent service, always a pleasure to do business with Coverdale. By the way I have found the invoice. Please give my best regards to Joanne, it is quite a while since we last chatted. I wish you all a Happy Christmas. Wow! Thank you so much for my carpets, stunning. I love em! I received the rugs for my Corniche and they fit perfectly. Thank you! Well it took much longer to get around to it, but I finally put these carpets in last weekend and very happy with the results. Very nice cover for my cherished XK8. I have fitted the carpets. Really nice finish and took only very minor adjustments. I am very happy with them and would like you to thank everyone who took part in the whole process. I will be mentioning your great service to other members of The Wolseley Club. the carpets are home and dry. Thanks to you and your crew for the good job! I am very happy with the carpets. Thank you and your team for all your hard work and good communication to assist me completing the carpets for my car. Monday I have received the Carpet pieces that you made for me. It has been much appriciated from my side and now: "Back to work"
Again, Thank you very much and hope to have a following project in the near future. Received and installed most of the carpets. Congratulations on the product - fits perfect and especially the blue is a beautiful blue. Just a quick note to let you know that I fitted the carpets last week and they look great! The carpets arrived safe and sound today. Obviously I haven’t taken them down to the car yet but I’ve opened them and had a look. I just wanted to say they look great! I’m really looking forward to cracking on with the car and getting them fitted. Please thank the people involved in cutting and stitching them - and the sewn in rubber mats are excellent. I’ll take the template down with me this weekend and have a look at what will work with regards to the doors. I’m doing something a bit different with the doors so I guess I will make what ever gets supplied in the end fit. I received my mats this morning. They’re a good colour match and fit perfectly and the quality is top notch. Thanks very much. 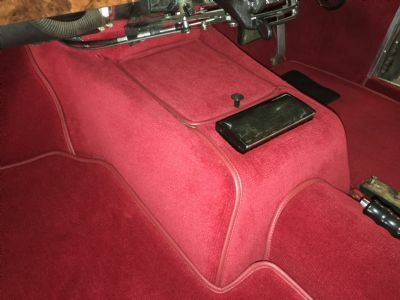 Hello, just thought I would let you know I am very pleased with the car mat set you have recently made for my 1938 Austin Big 7. They fitted really well and look a treat in the car. I attach a couple of photos showing how they look. Thank you for sending the fasteners, which I received on Saturday. The carpet is now in and fixed and has exceeded my expectations in its finished appearance. I really appreciated your kind gesture in sending the additional items FOC, I have again found the service and helpfulness of the Company outstanding and will have pleasure in recommending your company and its services to friends and fellow Club members of the several car clubs to which I belong. 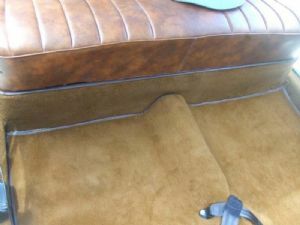 Just wanted to say thank you very much for the Triumph 2000 Mk1 overmats you supplied via my daughter Libby. They're excellent and I'm delighted with them. The car looks quite different now. Some time ago, I bought a luxury car cover for my Toyota Surf . It was for internal storage. However, due to various commitments and refurbishment to the vehicle, I was unable to use it until now. May I say I am extremely pleased with this cover! 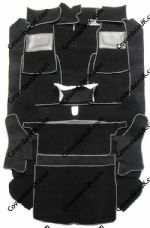 It fits like a glove, it is soft and great protection against dust and environmental pollutants. It was an excellent price too- great value for money. Well done Coverdale. I believe in praise where praise is due and it is most due in this case. Thank you. I will definitely be dealing with you again. 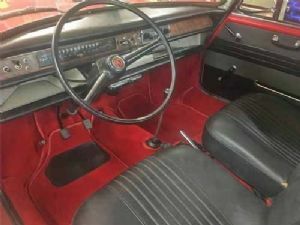 It’s a shame you don’t do a carpet set for this car as I would have no hesitation in buying from you again. Again, many thanks. Great product- great protection!! Hi, you may be interested in the attached picture showing your​ carpet recently supplied to me and now fitted. I think it looks very well. The carpet for my Morris 6 arrived this morning, 6 days after order being received. Fantastic service considering I am in Australia.. I have completed the installation and I am totally happy with the fit and finish and would like to thank you all not only for the standard of your product but also your prompt delivery service. I have enclosed photos of the finished job. Thanks again and all the best for your future. I am very excited about the fast shipping and the great quality ! I will like to recommend you. Today i received the car cover that i ordered. I would like to thank you for your excellent service and the quality of the product. Just to say thanks for your excellent service. I am very pleased with the carpet set. 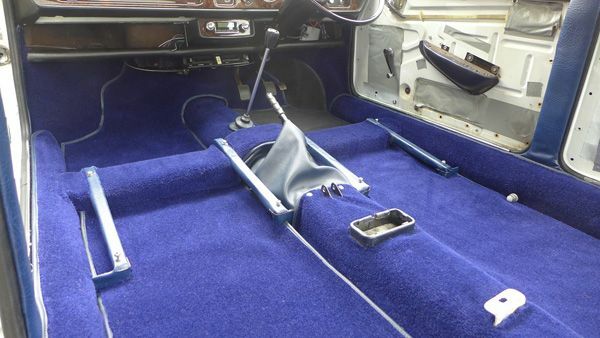 Just received the carpet set for my MGB GT 4 syncro. Many thanks for the super fast delivery, just opened the package and the quality is outstanding. I am so impressed with your company and so pleased I watched Wheeler Dealers and discovered you. Just to say thank you to you and your team for a lovely set of mats and great customer service. Just wanted to say, thank you very much for getting my Jaguar carpet set to me so quickly. I must say how impressed I am with you and will be using you in the future. 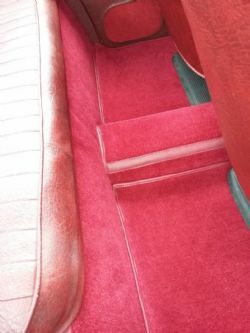 I am VERY happy with the carpets supplied for both the Princess and the Innocent and was particularly impressed with the turn around of those for the Innocenti, and their fit. For your records, Innocenti was an Italian company which made BMC (and subsequently BL) cars under licence in Milan. They started with the A40, moved onto Morris 1100, then the Classic Mini before making their own variation of the Mini with a hatchback from early in 1975. My Innocenti De Tomaso was made in 1981, the previous models being the Innocent 90 and Innocenti 120. 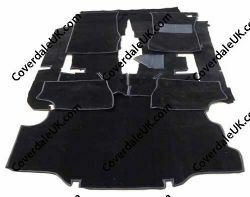 These and subsequent models which used a Daihatsu engine, all use the same carpet set as that you made for me recently. 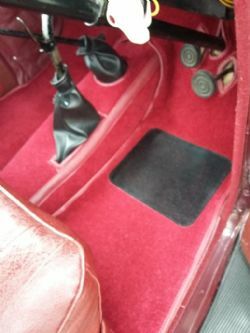 To help you identify which carpets would fit in which cars, I have attached a full list of Innocenti models from the 1950s through to the last ones made in the early 90s. I hope that this is of use. 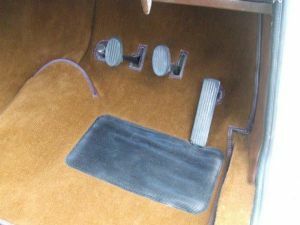 I have also attached shots of the cars and the finished carpet installation. once again and everyone at Coverdale for your super service. I have now received my car cover and have to tell you, firstly I am very impressed with your quick service. Secondly I'm impressed with the cover and the fitting of it. Superb fit, fast service I will recommend you to my friends. Just a few words to inform you the mats arrived. Superb quality is too scarce not to be mentioned. Congratulations to Coverdale crafters. Unfortunately the next cars under restoration are race cars, so I won't revert to you for a while. 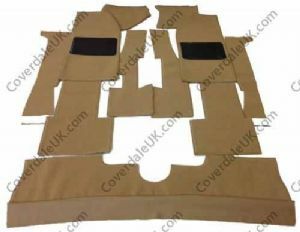 For far too long I have been intending to tell you how pleased I am with the over mat set which you sent me for my Rover 90 at the end of May. You were concerned that, as you were using ruby carpet from a subsequent batch from that which you had used to make the main, under carpet, there might be a difference of tone. I can assure you that, if there is any difference, it is not apparent when everything is in the car. I am very pleased with the final job, and it is giving me great pleasure. I would like to congratulate you and your team for producing a first-class product. The pattern I sent was a very good fit and your carpet is exactly the same! The green binding you fitted is a good match to the original. I am very happy and I would like you to pass on my gratitude to your team. I wouldn't hesitate in recommending your services to anyone in need of a good product and keen pricing. I am extremely pleased with the final result and would be grateful if you would pass my comments on to the person that carried out the work. The quality is better than that fitted by the Morgan factory, although in itself may not be difficult to achieve. Throughout my discussions, emails and during my visit to the offices, the staff at Coverdale have been pleasant and helpful and I would have no hesitation of recommending Coverdale to anyone in the Morgan Sports Car Club. 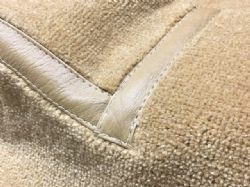 Purchased carpets for a classic 1967 Jaguar 420 and was most impressed with the excellent quality, very competitive price and helpful, friendly advice. Wholeheartedly recommend. 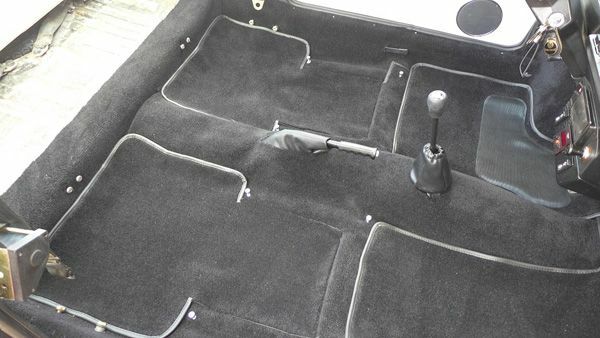 Many thanks for my boot carpet, it's perfect, as when I bought the vehicle the boot carpet was missing. Morning, the carpet set has just arrived, just one word to say, It's brilliant, thank you the great service. All fitted with just a little trimming. I've still got two small bits left over though? Thanks again I'm 'chuffed' with the result. Now it's just to sort it all out and start to fit in the car ! But the quality seems very good on both the materials and craftsmanship. Just a quick email to say that the cover fits like a glove! a perfect fit. Just wanted to say a massive thank you, to you and your team for making the cover for me, you have gone above and beyond any thing I would have expected, your customer service really is on point! "I saw on ebay one of your products and spoke personally to your staff by phone. The item was wall carpet but was unsure of which colour blue would have been the nearest to match. Your colleague could not have been more helpful and arranged to send me a couple of samples by post. I received them yesterday morning and telephoned to confirm my preferred choice and purchased a role of 10m Ocean ribbed van lining together with some adhesive. This morning, Thursday, my order arrived via courier. Wow. Fantastic service and excellent product. Really happy and many thanks for your courtesy and very fast service. With best wishes. 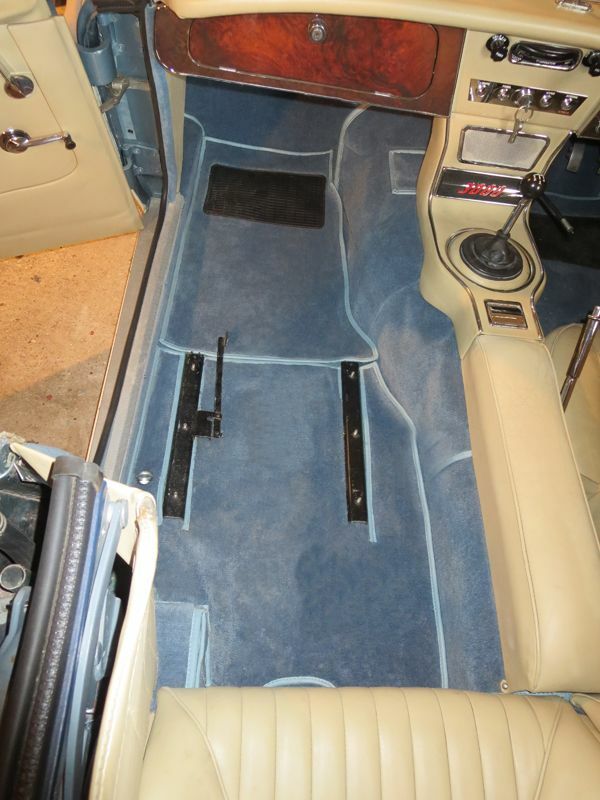 Phil Fugle (Invoice number INV29343)"
"I would like to thank you all, for your more than excellent service on my recent purchase of Rolls Royce Silver Shadow Carpets,which fitted absolutely perfectly. Special Thanks to Joanne for her very efficient organisation of same.Very much appreciated." "I felt compelled to write to thank you for the outstanding service I have received from your company. All I can say is fantastic, well done and thank you for surpassing all my expectations, in this day and age it is such a pleasant thing to find such helpful companies such as yours." "A high-quality product at a competitive price, friendly, helpful service and a very prompt delivery. What more can I say other than congratulations all round"
"I would like to thank you very much for the very efficient and courteous manner with which you dealt with my recent enquiry and subsequent order. The carpet set seems to be professionally made and I was able to fit it myself. I will be recommending your services to anybody wishing to purchase carpet sets." 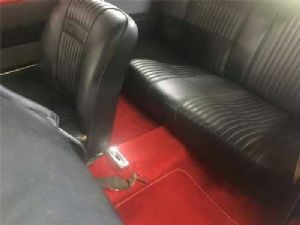 "We recently received a set of carpets from you, and I would like to tell you how pleased I am with the quality and luxurious effect it has on the car. They look superb. Thank you very much, I will recommend your firm to my friends." 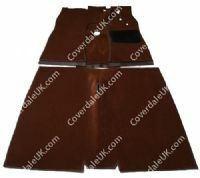 "Thank you for the excellent job on my car carpets and boot mat. They look grand. They also improve the look and certainly the value of the car. I will recommend your quality and service wherever it is required." "The carpets arrived yesterday. We are very, very pleased and impressed with the quality of the workmanship. They fit like gloves and look a million guineas. Should your company ever need a reference you can count on me, I shall certainly highly recommend you." "I am writing to say a big "thank you" for manufacturing a set of carpets for my Wolseley 6-110 MkII. 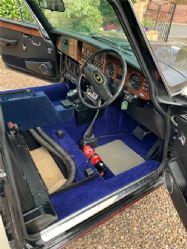 Your replacements are perfect and really improve the look of the car's interior, which was commented on at the recent Wolseley national rally, where I was awarded 1st prize." "I received my car cover today and would like to thank you for a very efficient and polite service." 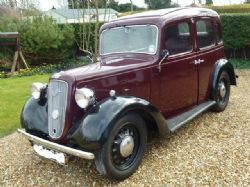 "I just had to write to thank you for the carpets for our Hillman. 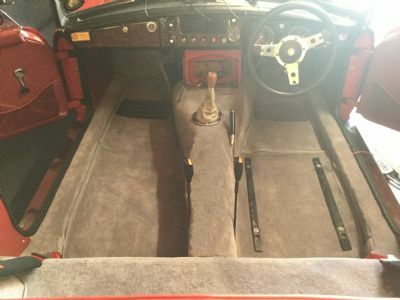 My husband was over the moon as they fitted so well and the quality of the craftmanship shown in all areas of tailoring, especially round the gearbox area. Please don't hesitate to pass our name onto any prospective clients wishing to have carpets made and we'll be only too pleased to share our satisfaction."